ABC7 joins Hawaiian Airlines CEO Peter Ingram and LGB Director Jess Romo for the inauguration of daily flights to Long Beach on the new A321neo. Peter Ingram, president and CEO of Hawaiian Airlines, speaks with CNBC at the 2018 IATA Conference in Sydney on how most commercial carriers are now in a better financial position to absorb higher fuel prices than before. Hawaiian Airlines CEO Peter Ingram speaks with CNBC on the impact on travel and tourism from the eruptions of the Kilauea volcano. New Zealand-based Newshub talks story with Debbie Nakanelua-Richards, director of community relations, about Hawaiian's dedication to perpetuating Hawaiian culture. FlightGlobal sits down with Hawaiian Airlines CEO Peter Ingram to talk about his plans for the future of the company. Los Angeles Times covers Hawaiian Airlines' exclusive partnership with Raw Elements USA, a reef-safe, chemical-free sunscreen. 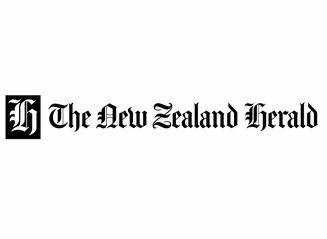 CEO Peter Ingram sits down with The New Zealand Herald to discuss the decision to buy 10 Boeing 787-9 Dreamliners. CEO Peter Ingram discusses the rationale behind the acquisition of 10 Boeing 787-9 Dreamliner planes with CNBC. Hawaiian Airlines' new ozone monitoring technology on its A330-200 aircraft is highlighted in The New Zealand Herald.